One new feature of this upgraded version of vBulletin that I have been playing with lately is the capability of creating tags as a prefix for a newly created thread. 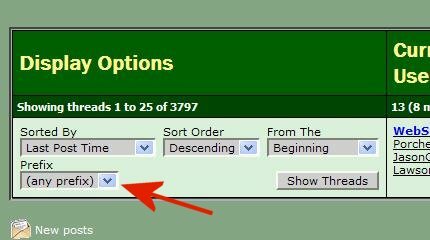 What this does is to allow a member to more easily determine a general category that a thread may be in. Hopefully this will help keep things more organized in those particular sections. One neat feature that might come in handy with these prefex tags is that once those tags have had a chance to be more heavily utilized, you can set up a filter for viewing a classified forum that will limit the display to ONLY those threads with the tag prefix that you select. 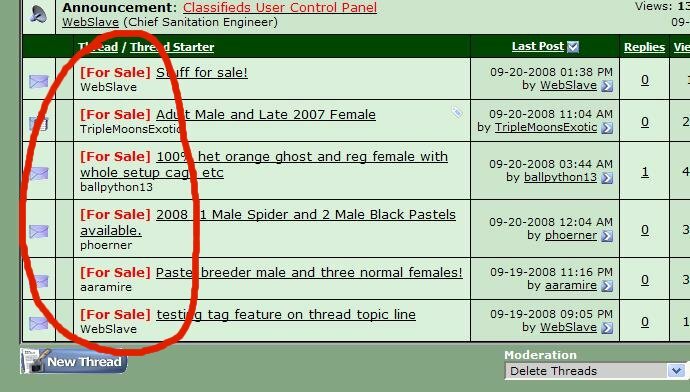 So if you only wanted to look at the FOR SALE threads, you could filter out all of the rest of them. To give you some examples on how to use this feature, here's some help. 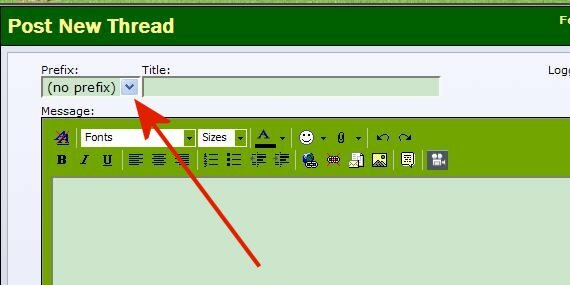 When you create a new thread (classified ad) in this section, you will see a new drop box available. Clicking on the down arrow will show you a list of available prefix tags to apply to your new thread. In this instance, I selected "For Sale". 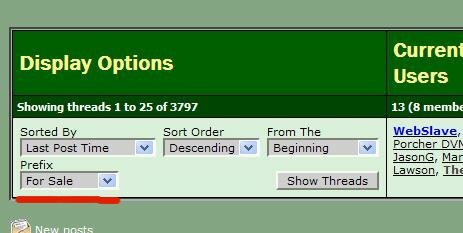 Marking each thread with the appropriate prefix tag will make it VERY easy for members to see what category (For Sale, Wanted, etc.,) your thread is in. After this has been used for a while, suppose you ONLY want to view those threads that are in the For Sale category? Well, you can do that, by simply using the Display Options section for the forum. Notice below that there is a new option available for those prefix tags. 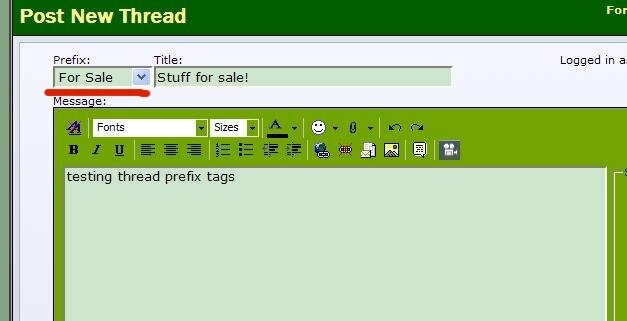 For now, I am making the use of those prefix tags optional in the classifieds section, and mandatory in the BOI sections. But see how EASY that is?